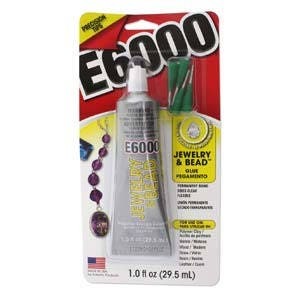 E6000 Jewelry & Bead Glue. 1oz w/ 4 Applicator Tips. I love this shop! Quality vintage items in beautiful condition ! And always shipped carefully & promptly! Thank you ! Just what I was looking for! Buy with confidence from this trusted Etsy Seller.